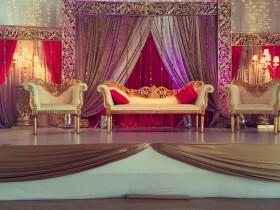 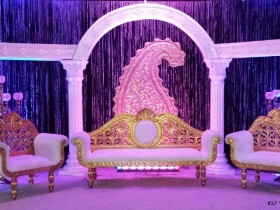 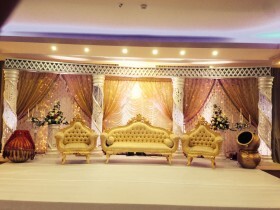 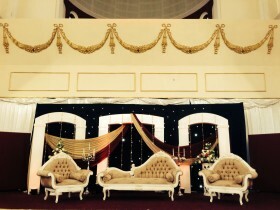 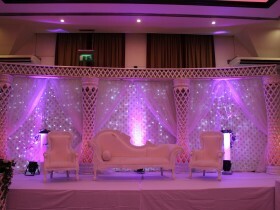 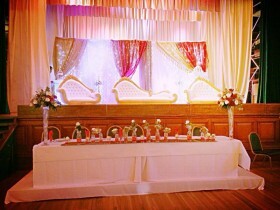 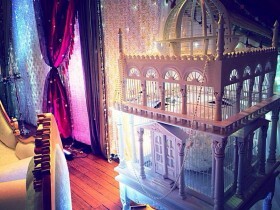 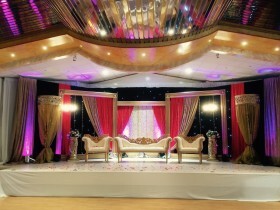 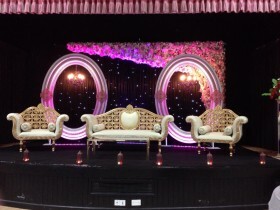 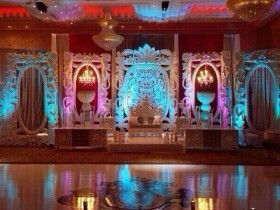 Just like our mehndi stages, we can further intensify the grandeur of your venue with a mesmerising wedding stage. 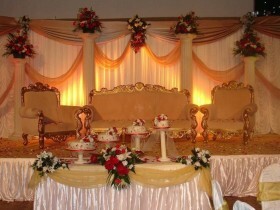 It’s the masterpiece of the day with photo’s gatherings and the centre of attention being around the wedding stage. 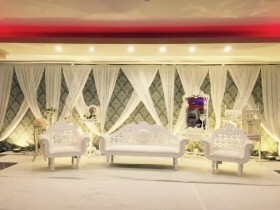 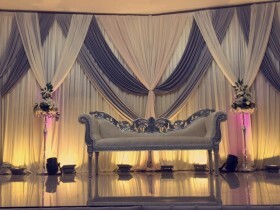 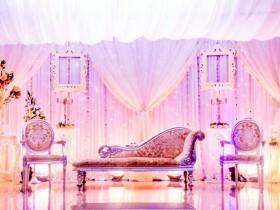 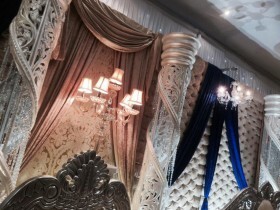 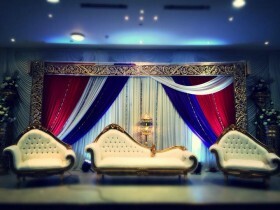 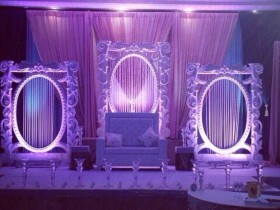 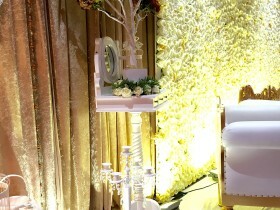 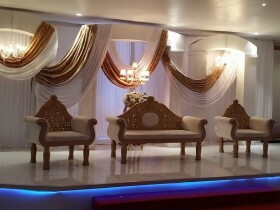 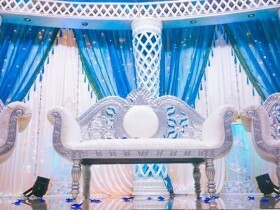 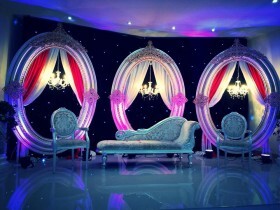 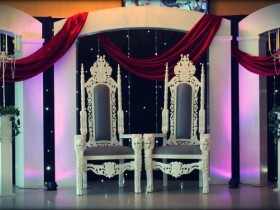 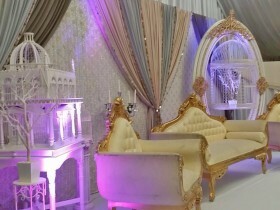 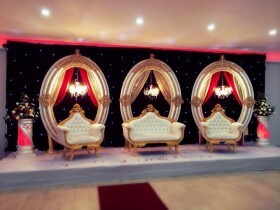 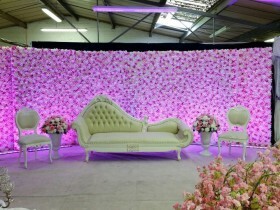 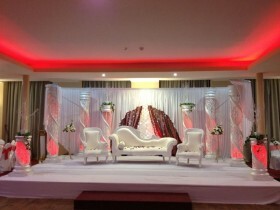 Originality is the key to success with our wedding stages. 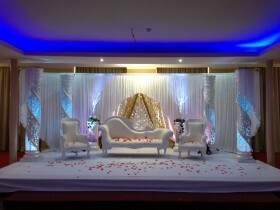 We’ve recently invested in new stage designs which are just beginning to be seen in the UK. 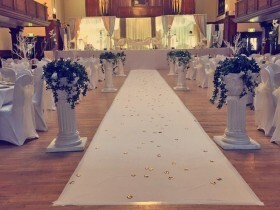 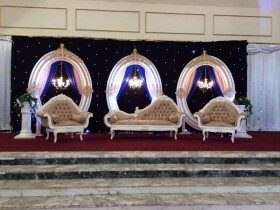 We have a range of different effects to choose from which include varying backdrops, crystal walls, canopies, candle lit settings, range of pillar arrangement designs, traditional wedding stages to antique gold look effect stages. 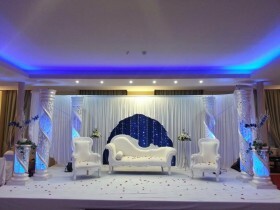 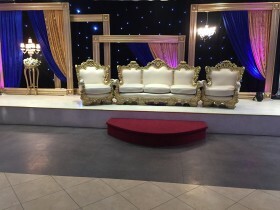 If you have seen a stage which you want, we can create it for you and even adjust it to compliment your colour scheme, venue and personal preferences which you may have.